On Friday I mused about using gold pieces from treasure as experience points. My inbox exploded. Dozens of you wrote in. Some of you were upset. I mean, ALL CAPS UPSET. And some of you were over the moon and loved the idea. First off, thank you so much for reading this newsletter! Your emails show you care. And I really appreciate you because we are both trying to be better game masters so we and our friends have more fun at every game. I received a few great ideas and pieces of feedback on the concept of GP = XP, and about XP in general. Experience points are core to RPGs. Our games use such points and metrics as core methods for character improvement. XP are like a medium of exchange between player actions and character advancement. As such, we are all on a spectrum of philosophy about how XP should be earned and spent. What you believe XP should be about might differ from what your neighbour believes. Today I’d like to share with you a select few bits from the email avalanche. I hope you find your fellow GMs’ ideas and notions thought-provoking, maybe worth trying out, and at the least, an interesting perspective. Even if you have no intention of changing your XP system, and want to move on to another topic, there’s a key learning opportunity for you here…. A common thread in many of the emails is one special idea: XP is a game mechanic that affects our behaviour. I re-read several of your emails through this lens once I became conscious of it. And I agree. It’s amazing how one little mechanic — a carrot — might affect our campaigns. It’s therefore worth a deeper look so we have a good perspective on how this mechanic affects our fun at the table. I abandoned that D&D GP=XP mechanic in the 80s. A much better approach to earning XP is all about the character. Did the character meet a personal or professional goal? Yes = XP. Did the character do something or solve a problem in a fashion that is unique to that character? Yes = XP. Did the player make decisions consistent with the character’s personality/background/skills/virtues/flaws/etc? Yes = XP. Did the character use a skill roll to solve a puzzle/get out of a bind/etc, instead of backstabbing someone, swinging his sword, or blasting the problem with a fireball? Yes = XP. Did the character overcome a fear/phobia to solve a problem/help a friend? Yes = XP. Did the character do something that was outside of his class/profession/race/and so on, that helped the party as a whole or someone else attain one of their goals? Yes = XP. Did the character do something contrary to his own interests to help another in a worthy or necessary way? Yes = XP. Did the character do any of these things in a big or heroic way (save the whole party from certain destruction, kill a boss via a particularly innovative approach, nearly died to warn a town of impending disaster, etc)? Yes = mucho XP. The halfling thief stands over the body of his fallen comrade — a paladin that’s always giving him a hard time about his chosen line of work — and fends off an orc attack until the other party members can rescue them both so the paladin can deliver a sacred artifact to his temple (which was one of that character’s life goals). The thief could have easily saved his own skin, and perhaps the paladin’s delivery of the sacred item means the Thieves Guild in that town has less influence. But for the halfling, his comrade’s life is more important than those other considerations. That’s what XP should be given for. Not an endless tally of hit points and gold pieces. With that HP & GP based approach, the thief would likely be much better served to grab the artifact, hightail it outta there, sell it at the next town, and pocket the GP and the XP, and who cares about that paladin anyway. That system encourages non-heroic actions on the part of players, regardless of the character’s natural proclivities. In fact, using the HP&GP=XP system, if the paladin was standing over the thief in the same circumstance, the paladin’s player is certainly aware he is acting against the best interests of his character, except for the hammer of lawful good gods that might fall upon him if the paladin grabs the loot and lets the thief die. 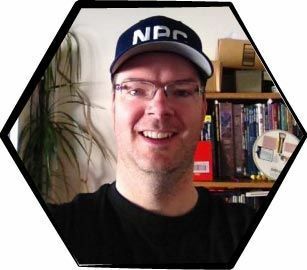 In my view, the entire superstructure of D&D’s XP accumulation involved a lot of tedious bookkeeping and did not give a character much of a reward for heroism nor the player much of a reward for good roleplaying. Perhaps that system was good for judging the relative accomplishment of goals between two or more parties going through the same module in a competition at a con, but for everyday RPG, no way. One of the best XP systems I have ever used was what I called the memory tally system. It is an idea I got from somewhere in the mid 90s and changed it up to fit my group. Basically I have a total number of XP for each session. Then at the beginning of the next session I have each player recount what they remember from the last session. For each thing they bring up they get one tally point (sometimes up to 3 tally points if it was something extra special). After everyone is done I total up all the tally points then divide that into the total XP. I take that number and multiply it to each individual character tally and that total is the XP each character gets. I would also do a summary session every few weeks to cover what we have done and they would get bonus XP for that. I would add missing things and allow others to interject if something was missed when recounting what happened each session. I also really like the HARP (High Adventure Role Playing by ICE) way of doing XP. It is based on a goal system based on how difficult it was to reach each goal. There are two types of goals: personal and group goals. In my more recent years I’ve used a combination of the above XP systems. I’ve also seen XP for money spent. That adds an even more mercenary angle and encourages carousing. Visit this blog post to read more emails from RPT readers about XP.